In reality, I liked my original take on the Classic Space Aerotrain, but it can't be built due to design and motorization issues. thus, I stretched the design into the model you see here but with my Super Bipolar at the head. 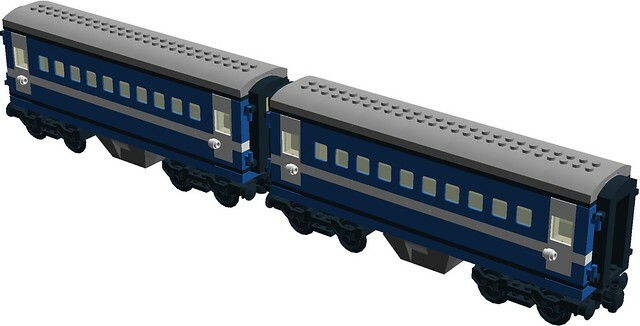 This will be able to allow the engine to pull freight cars, (such as Benny's road car on a flat car) too. 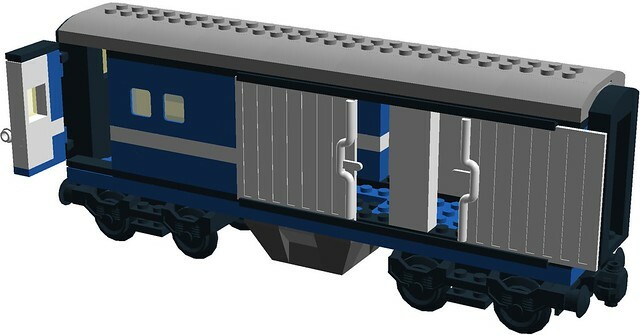 This model was inspired by both a 1999 version of the original, real-world Bipolar engine built by user Legosteveb and by a digital-only design by @Sunder to create the Super Bipolar you see in my picture above. Note, the two 4 x 2 slopes should have this CS print while the four white 1 x 1 tiles should have this "60" print. 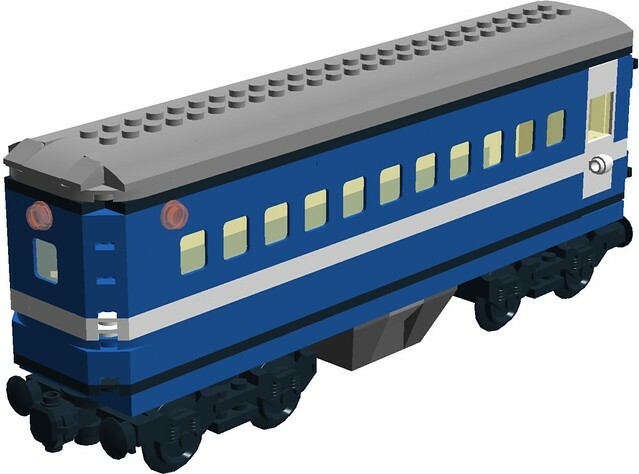 Also, a bonus for this engine model is if I ever show off this train at a LEGO show, I can replace the middle wheel-set on the loco with another person's 9V motor swapped in to power the train. These are the two passenger cars. 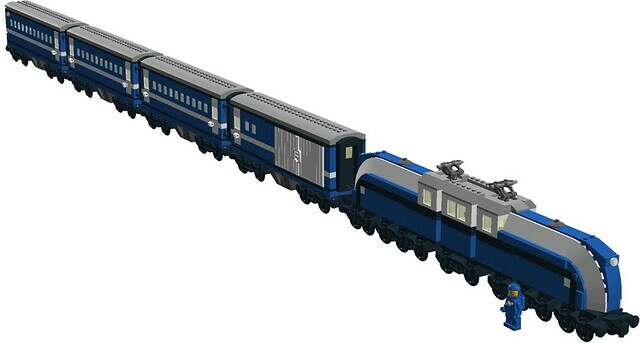 This is the complete train. 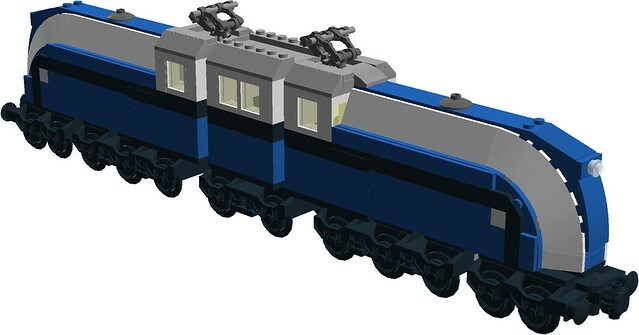 I'm planning on building this in 2019 in real bricks, at some point, hopefully. Anyway, comments, questions, complaints, and suggestions are always welcome! I like that locomotive better than your other CS train. It looks more like a spaceship, less like a box, while still looking like a real-world freight locomotive. I guess Benny & Co. had to go back to their old train after Toby & Co blew up the track for their super-secure armored train? Very nice combination of space with retro technology! And the classic space colors work really well for rail vehicles!